What are the top issues that could ruin a house sale? With nearly half of all house sales collapsing before completion during Q4 last year, the process of selling your home is undoubtedly stressful and not guaranteed to go the way you want it to. 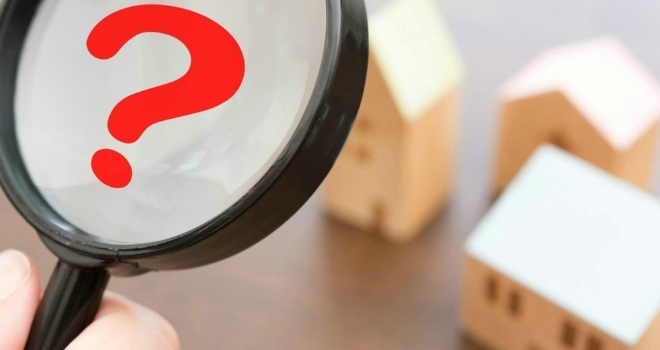 So what are the most common issues that can scupper the sale of a property? NAEA takes a closer look. Whether it’s a dispute over boundaries, shared access to driveways or anti-social noise, falling out with your next-door neighbour is not only stressful but can adversely affect the sale of a property. Anyone looking to sell their property is legally obliged to disclose information about any disputes they’ve had with neighbours on the ‘Seller’s Property Information Form’ provided by their solicitor. Omitting or providing false information could lead to legal action taken against you by the buyers, so honesty is the best policy. If your home has any serious structural defects which aren’t visible on first inspection, this can put serious doubt in the minds of buyers. For example, if the survey finds there’s something wrong with the foundations, they may wonder about how long the house will be around, whether it’s even safe to live in, and of course that their mortgage provider may refuse to lend against the property. If you’re aware of a major structural problem with your property, try and fix it before putting it on the market. If you are not in the financial position to repair the issue, get an appropriate contractor to give you an estimate for repair and be transparent about it. You should disclose everything to the buyer and provide the documentation on how to remedy the issue. By doing this leg work, you’ll eliminate doubt in the mind of the buyer. Knotweed is often found during site surveys, but while it may look small and contained, do not underestimate the scale of the potential problem; the plant can grow up to nine feet in height and roots up to three metres deep. It’s important to have it treated professionally as soon as possible to avoid further growth and prevent the property sale from falling through. The invasive plant, Japanese Knotweed, is more common than you think, and it can damage the foundations of your home and significantly devalue it if it’s at risk of subsidence as a result. If you think you can see any in your garden, call a professional to excavate it as soon as possible. It also affects the mortgage ability as lenders take a dim view if it is present. If your property is in a commuter town, any changes to train timetables which make it more difficult to commute to the nearest city, could have detrimental effect on house prices and the saleability of your property altogether. If you’re in an area popular with commuters, keep a beady eye out for any changes to the timetable. Buying a property without planning permission for any works is risky for prospective buyers. If you’ve had any work carried out while you’ve been living in the property, such as extensions or conversions, make sure you obtained appropriate planning permission and building regulations, and have access to these documents. If you haven’t got the right documents, you may find that you must pay for them retrospectively before agreeing a sale.